With very little explicit supervision and feedback, humans are able to learn a wide range of motor skills by simply interacting with and observing the world through their senses. While there has been significant progress towards building machines that can learn complex skills and learn based on raw sensory information such as image pixels, acquiring large and diverse repertoires of general skills remains an open challenge. Our goal is to build a generalist: a robot that can perform many different tasks, like arranging objects, picking up toys, and folding towels, and can do so with many different objects in the real world without re-learning for each object or task. While these basic motor skills are much simpler and less impressive than mastering Chess or even using a spatula, we think that being able to achieve such generality with a single model is a fundamental aspect of intelligence. Figure 1: (left) LED Array Microscope constructed using a standard commercial microscope and an LED array. (middle) Close up on the LED array dome mounted on the microscope. (right) LED array displaying patterns at 100Hz. Computational imaging systems marry the design of hardware and image reconstruction. For example, in optical microscopy, tomographic, super-resolution, and phase imaging systems can be constructed from simple hardware modifications to a commercial microscope (Fig. 1) and computational reconstruction. Traditionally, we require a large number of measurements to recover the above quantities; however, for live cell imaging applications, we are limited in the number of measurements we can acquire due to motion. Naturally, we want to know what are the best measurements to acquire. In this post, we highlight our latest work that learns the experimental design to maximize the performance of a non-linear computational imaging system. Top left: image of a 3D cube. Top right: example depth image, with darker points representing areas closer to the camera (source: Wikipedia). Next two rows: examples of depth and RGB image pairs for grasping objects in a bin. Last two rows: similar examples for bed-making. 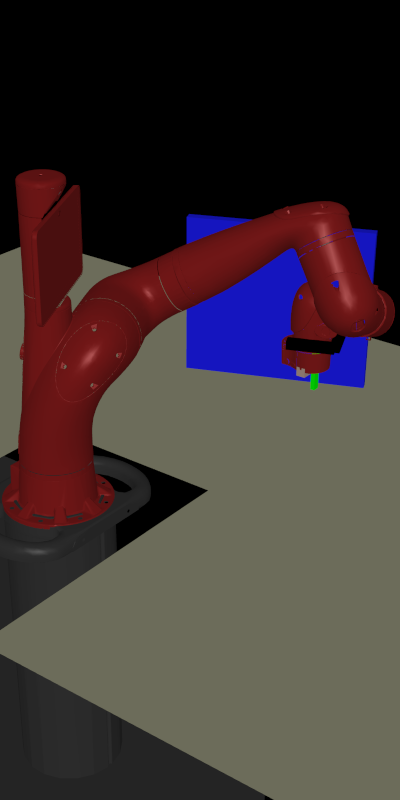 This post explores two independent innovations and the potential for combining them in robotics. Two years before the AlexNet results on ImageNet were released in 2012, Microsoft rolled out the Kinect for the X-Box. This class of low-cost depth sensors emerged just as Deep Learning boosted Artificial Intelligence by accelerating performance of hyper-parametric function approximators leading to surprising advances in image classification, speech recognition, and language translation. Today, Deep Learning is also showing promise for end-to-end learning of playing video games and performing robotic manipulation tasks. For robot perception, convolutional neural networks (CNNs), such as VGG or ResNet, with three RGB color channels have become standard. For robotics and computer vision tasks, it is common to borrow one of these architectures (along with pre-trained weights) and then to perform transfer learning or fine-tuning on task-specific data. But in some tasks, knowing the colors in an image may provide only limited benefits. 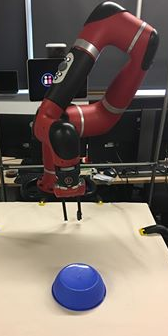 Consider training a robot to grasp novel, previously unseen objects. It may be more important to understand the geometry of the environment rather than colors and textures. The physical process of manipulation — controlling one or more objects by applying forces through contact — depends on object geometry, pose, and other factors which are largely color-invariant. When you manipulate a pen with your hand, for instance, you can often move it seamlessly without looking at the actual pen, so long as you have a good understanding of the location and orientation of contact points. Thus, before proceeding, one might ask: does it makes sense to use color images? There is an alternative: depth images. These are single-channel grayscale images that measure depth values from the camera, and give us invariance to the colors of objects within an image. We can also use depth to “filter” points beyond a certain distance which can remove background noise, as we demonstrate later with robot bed-making. Examples of paired depth and real images are shown above. In this post, we consider the potential for combining depth images and deep learning in the context of three ongoing projects in the UC Berkeley AUTOLab: Dex-Net for robot grasping, segmenting objects in heaps, and robot bed-making. Simulated characters imitating skills from YouTube videos. Whether it’s everyday tasks like washing our hands or stunning feats of acrobatic prowess, humans are able to learn an incredible array of skills by watching other humans. With the proliferation of publicly available video data from sources like YouTube, it is now easier than ever to find video clips of whatever skills we are interested in. A staggering 300 hours of videos are uploaded to YouTube every minute. Unfortunately, it is still very challenging for our machines to learn skills from this vast volume of visual data. Most imitation learning approaches require concise representations, such as those recorded from motion capture (mocap). 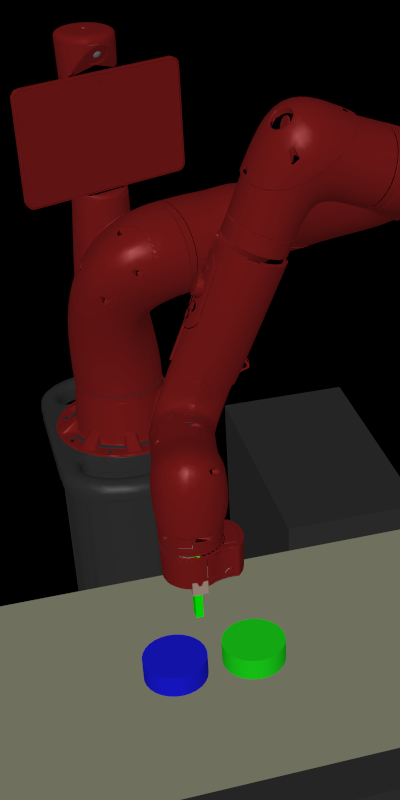 But getting mocap data can be quite a hassle, often requiring heavy instrumentation. Mocap systems also tend to be restricted to indoor environments with minimal occlusion, which can limit the types of skills that can be recorded. So wouldn’t it be nice if our agents can also learn skills by watching video clips? In this work, we present a framework for learning skills from videos (SFV). By combining state-of-the-art techniques in computer vision and reinforcement learning, our system enables simulated characters to learn a diverse repertoire of skills from video clips. Given a single monocular video of an actor performing some skill, such as a cartwheel or a backflip, our characters are able to learn policies that reproduce that skill in a physics simulation, without requiring any manual pose annotations. We want to build agents that can accomplish arbitrary goals in unstructured complex environments, such as a personal robot that can perform household chores. A promising approach is to use deep reinforcement learning, which is a powerful framework for teaching agents to maximize a reward function. However, the typical reinforcement learning paradigm involves training an agent to solve an individual task with a manually designed reward. For example, you might train a robot to set a dinner table by designing a reward function based on the distance between each plate or utensil and its goal location. This setup requires a person to design the reward function for each task, as well as extra systems like object detectors, which can be expensive and brittle. Moreover, if we want machines that can perform a large repertoire of chores, we would have to repeat this RL training procedure on each new task. While designing reward functions and setting up sensors (door angle measurement, object detectors, etc.) may be easy in simulation, it quickly becomes impractical in the real world (right image). We train agents to solve various tasks from vision without extra instrumentation. The top row shows goal images and the bottom row shows our policies reaching those goals. In this post, we discuss reinforcement learning algorithms that can be used to learn multiple different tasks simultaneously, without additional human supervision. For an agent to acquire skills without human intervention, it must be able to set goals for itself, interact with the environment, and evaluate whether it has achieved its goals to improve its behavior, all from raw observations such as images without manually engineering extra components like object detectors. We introduce a system that sets abstract goals and autonomously learns to achieve those goals. We then show that we can use these autonomously learned skills to perform a variety of user-specified goals, such as pushing objects, grasping objects, and opening doors, without any additional learning. Lastly, we demonstrate that our method is efficient enough to work in the real world on a Sawyer robot. 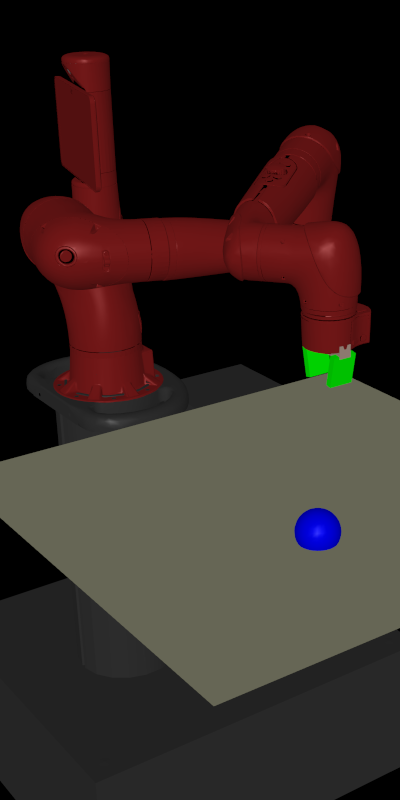 The robot learns to set and achieve goals involving pushing an object to a specific location, with only images as the input to the system. In this post, we demonstrate how deep reinforcement learning (deep RL) can be used to learn how to control dexterous hands for a variety of manipulation tasks. We discuss how such methods can learn to make use of low-cost hardware, can be implemented efficiently, and how they can be complemented with techniques such as demonstrations and simulation to accelerate learning. An earlier version of this post was published on Off the Convex Path. It is reposted here with the author’s permission. When and why can feed-forward networks replace recurrent neural networks without a loss in performance? We discuss several proposed answers to this question and highlight our recent work that offers an explanation in terms of a fundamental stability property. We are excited by the interest and excitement generated by our BDD100K dataset. Our data release and blog post were covered in an unsolicited article by the UC Berkeley newspaper, the Daily Cal, which was then picked up by other news services without our prompting or intervention. The paper describing this dataset is under review at the ECCV 2018 conference, and we followed the rules of that conference (as communicated to us by the Program Chairs in prompt email response when we asked for clarification following the reporter’s request; the ECCV PC’s replied that ECCV follows CVPR’s long-standing policy). We thus declined to speak to the reporters after they reached out to us. We did not, and have not, communicated with any media outlets regarding this story. While the Daily Cal article was accurate; unfortunately, other media outlets who followed in reporting the story made claims that were attributed to us incorrectly, and which do not represent our view. In particular, several media outlets attributed to us a claim that the BDD100K dataset was “800 times” bigger than other industrial datasets, specifically mentioning Baidu’s ApolloScape. While it is true our dataset does contain more raw images than other datasets, including Baidu’s, the stated claim is misleading and we did not put that line or anything like it in a paper, blog post, or spoken comment to anyone. It appears that some reporters(s) viewed the data in tables in our paper and came up with this conclusory comment themselves as it made an exciting headline, yet attributed it to us. In fact, it is inappropriate in our view to summarize the difference between our dataset and Baidu’s in a single comment that ours is 800x larger. Comparing the number of raw images directly is not the most appropriate way to compare these types of datasets. Importantly, different datasets focus on different aspects of the autonomous driving challenge. Our dataset is crowd-sourced, and covers a very large area and diverse visual phenomena (indeed significantly more diverse than previous efforts, in our view), but it is very clearly limited to monocular RGB image data and associated mobile device metadata. Other dataset collection efforts are complementary in our view. Baidu’s, KITTI, and CityScapes each contain important additional sensing modalities and are collected with fully calibrated apparatus including actuation channels. (The dataset from Mapillary is also notable, and similar to ours in being diverse, crowd-sourced, and densely annotated, but differs in that we include video and dynamic metadata relevant to driving control.) We look forward to projects at Berkeley and elsewhere that leverage both BDD100K and these other datasets as the research community brings the potential of autonomous driving to reality.